DOT provides the most powerful EM tool on the market. Auto-adjusting, High Voltage Transmitters automatically select the necessary power usage for the formation resistance. This results in the ability to drill deeper than with previous EM tools as well as increase efficiency by spending less time troubleshooting, downlinking and obtaining directional surveys. EM system is engineered for performance drilling in deep horizontal applications including overbalanced, under-balanced and high LCM environments. This EM technology operates on variable amperage allowing for faster survey times at deeper TVD. New DOT EM system is fully wire-line retrievable which reduces potential downtime and lost-in-hole situations. Improve overall reliability with a combined Electromagnetic and Mud Pulse system. Continue drilling using Mud Pulse when EM signal is lost to the formation. Remove the risk of blind drilling coming out of casing with EM – Utilize Pulse MWD. Improve steering and drilling decisions. Minimize NPT associated with rig. Eliminate the need to wait on Mud Pulse surveys. It operates in environments where Mud Pulse may not be optimal or possible. 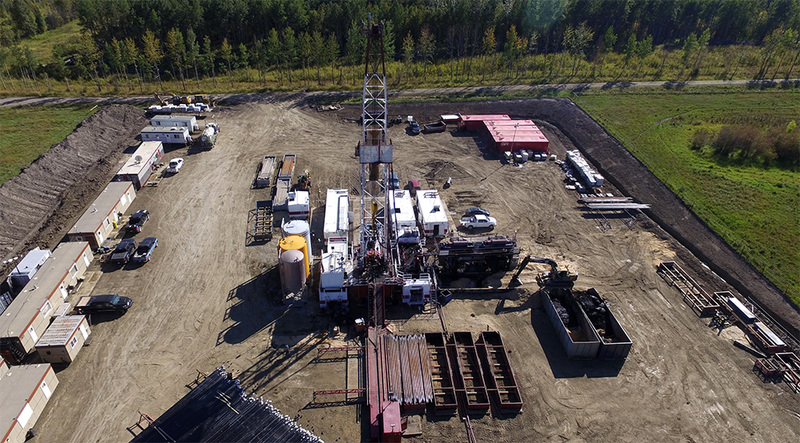 DOT provides a positive Mud Pulse MWD system for deeper applications where high or low formation resistance is encountered during the drilling operation. Our system has minimal moving parts, which allows for extended downhole life and simple maintenance. At-the-bit Inclination and Azimuthal Gamma ray service operates just above the drill bit, providing real-time measurement that can reduce directional drilling uncertainties in critical hole sections. The Near Bit Sub enables measurement of inclination and gamma data directly behind the bit. These data helps determine the well trajectory, position and give early indication of changes in formation, helping DOT directional driller land horizontal well on target. Drill on Target Directional Services has strategic alliances with key technology suppliers. We are capable to provide the leading-edge technology of Rotary Steerable Systems, Resistivity, Gyro services and associated drilling technologies.